IRS imposes some stiff penalties if you miss your required minimum distributions. If you are the owner of a traditional IRA, you must start receiving distributions from your IRA by April 1 of the year following the year in which you reach age 70½. April 1 of the year following the year in which you reach age 70½ is referred to as the Required Beginning Date (or RBD). You must receive at least a minimum amount for each year starting with the year you reach age 70½ (your 70½ year). If you do not (or did not) receive that minimum amount in your 70½-year, then you must receive distributions for your 70½-year by April 1 of the next year. As a practical matter, even though you have until April 1 of the year after you reach age 70½ to take your first distribution, waiting will require you to take two distributions that year (one by April 1 for the prior year and another distribution by December 31 for the current year). Taking two distributions could significantly raise your taxes and marginal tax bracket unnecessarily, cause you to pay more tax on your social security itemized deductions. If an IRA owner dies after reaching age 70½, but before April 1 of the next year, no minimum distribution is required because death occurred before the required beginning date. If you miss a distribution, you must pay a 50% penalty and still take the distribution. Married Owners Whose Spouses Are Not More Than 10 Years Younger. Married Owners Whose Spouses Are Not the Sole Beneficiaries of their IRAs. Here’s how you figure your minimum distribution. Take your IRA balance as of the previous December 31. Divide by the number from the table above that matches the age you attain this year. 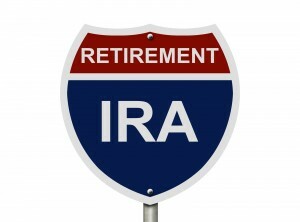 The result is the amount you must distribute from your IRA. Generally, you pay tax on this amount unless part of your IRA is from non-deductible contributions. 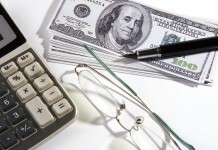 For example, say that out of your $30,000 IRA contributions, $3,000 were non-deductible (e.g. 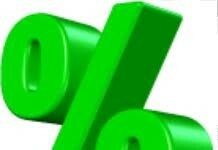 10% of your total contributions). When you make a distribution, 10% is counted as being the nondeductible contributions, so you pay tax on 90% of your distributions. Keep in mind that the taxable amount for your federal tax return may not be the same for your state tax return. That’s because when you made contributions, your state may not have allowed you to fully deduct the contribution so some of your distributions will not be taxed for state purposes. Generally, people like to take the minimum required amounts from their IRA each year because they want to defer the tax payment as long as possible. You may be pleased to know that you can use a more beneficial table (with smaller annual distributions amounts) if your spouse is your sole designated beneficiary and is more than 10 years younger than you.